In December I made Ziti with Pork Rib Guazzetto from Lidia's Celebrate Like an Italian. There was a lot of leftovers. I had ricotta cheese and fresh Mozzarella in the fridge. 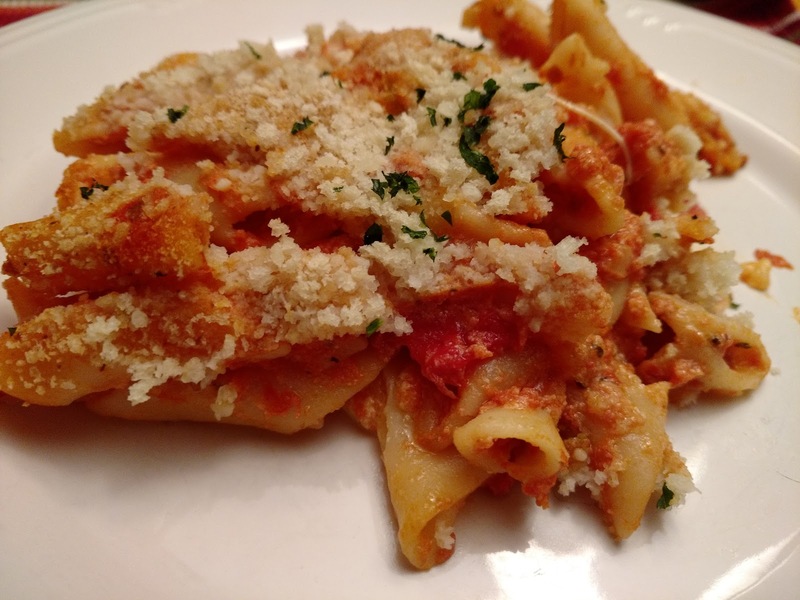 I added the Ricotta and Mozzarella along with some Parmesan to the pasta and the sauce. It went into a baking dish and topped it with breadcrumbs, cheese, and parsley. It went into the freezer. 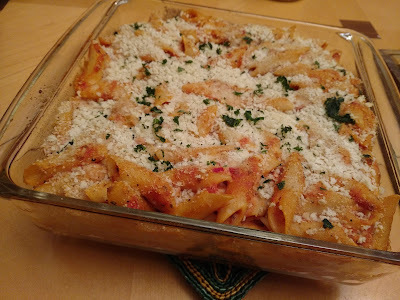 Tonight we baked the pasta and enjoyed what was the best-baked macaroni I have had in a long time. That sauce was fantastic!